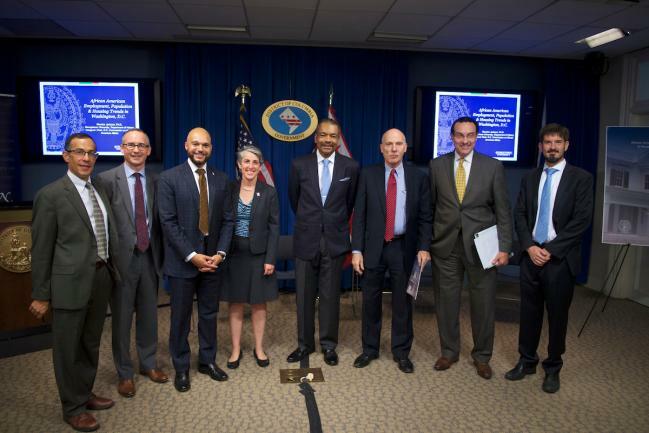 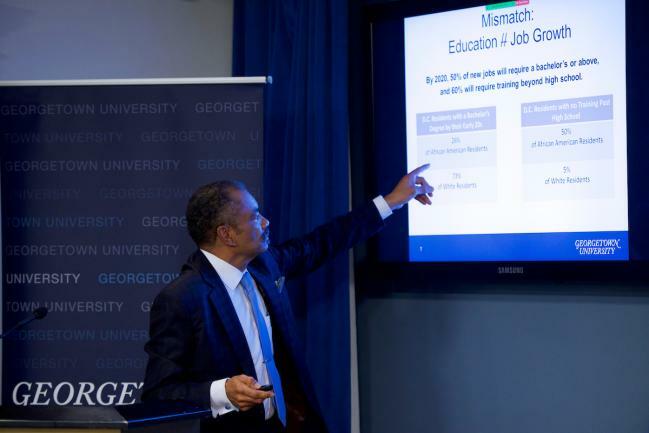 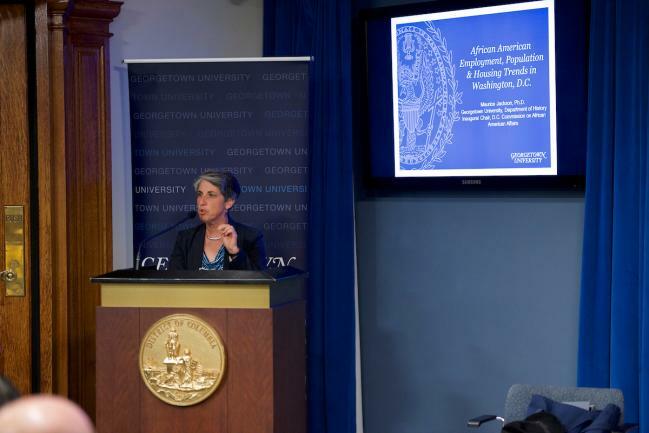 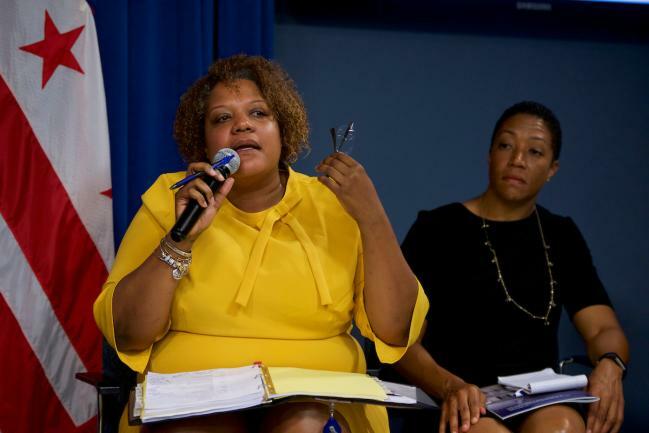 In October 2017, the Georgetown University DC Public Policy Initiative hosted a policy briefing on The State of African Americans in DC: Employment and Workforce Development Trends. 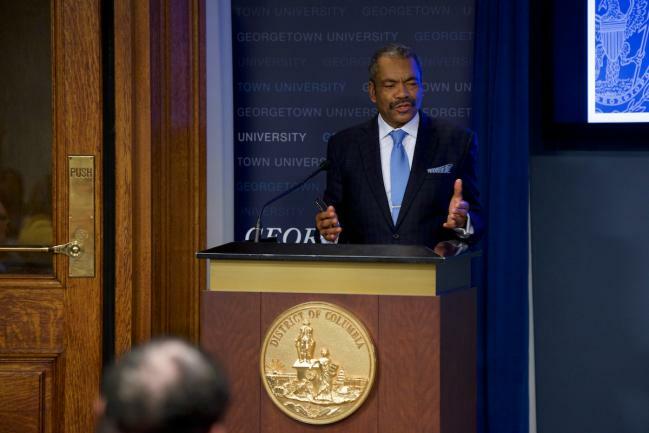 This was the second in a two-part series of events that Georgetown University sponsored to explore the State of African Americans in DC. 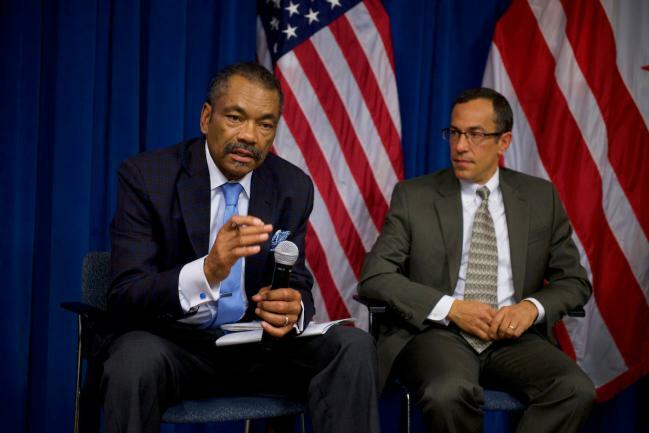 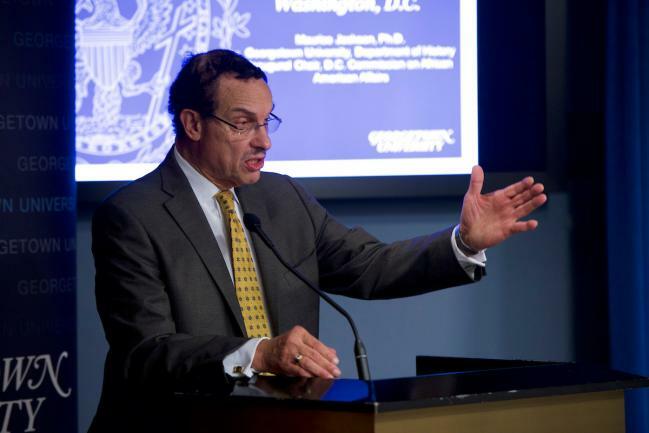 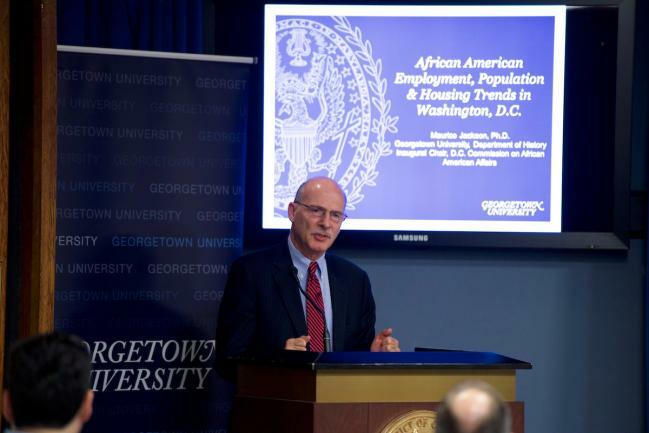 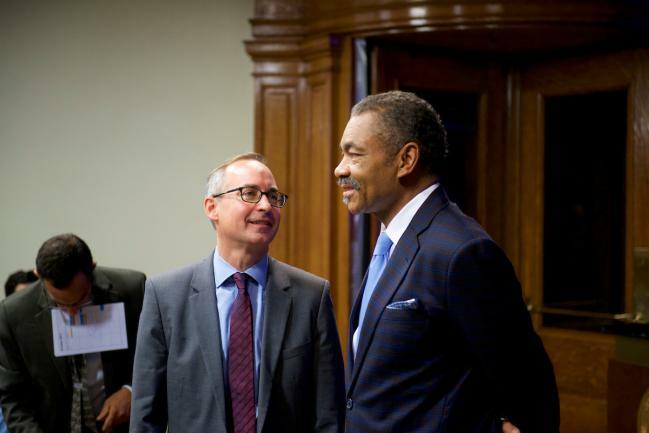 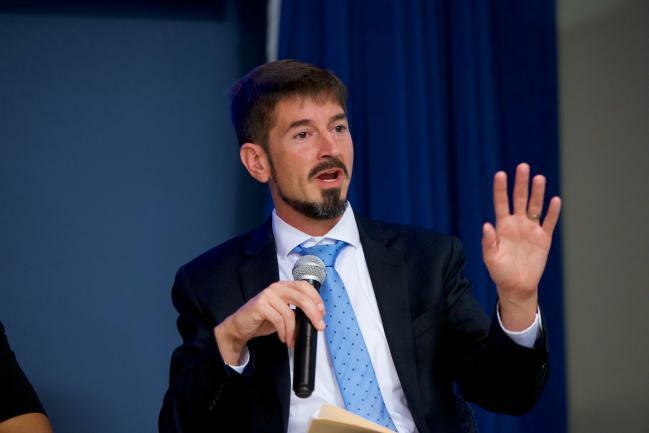 This event, and the related report, is a direct outgrowth of Georgetown Professor Maurice Jackson’s leadership as Chair of the District of Columbia’s first ever DC Commission on African American Affairs and the findings by a team of researchers at Georgetown University’s McCourt School of Public Policy. 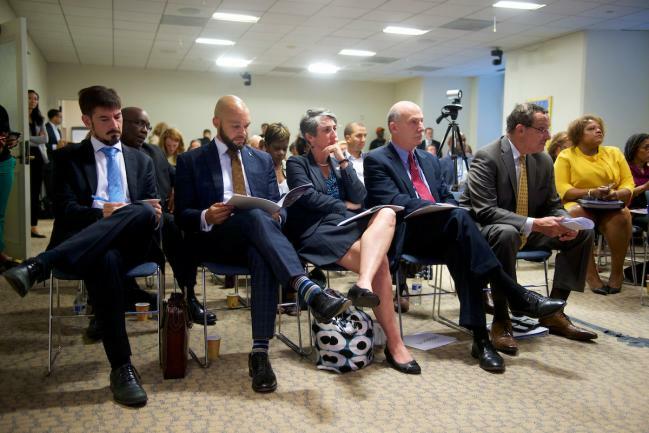 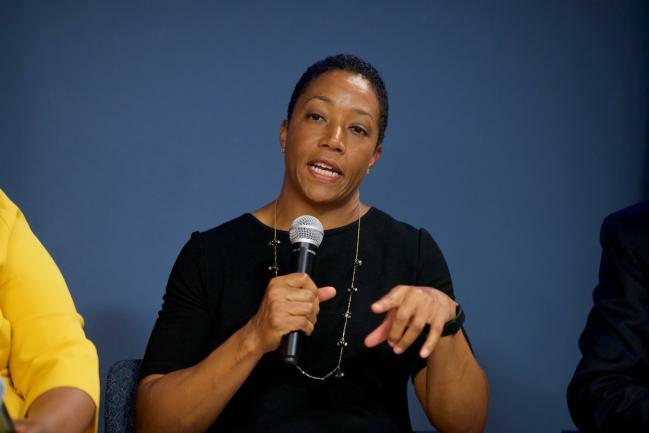 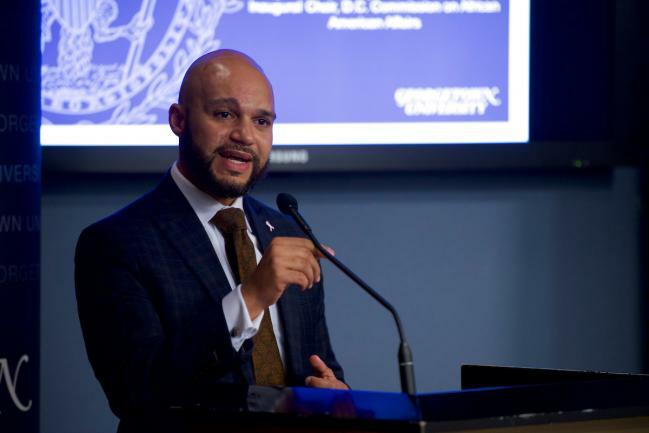 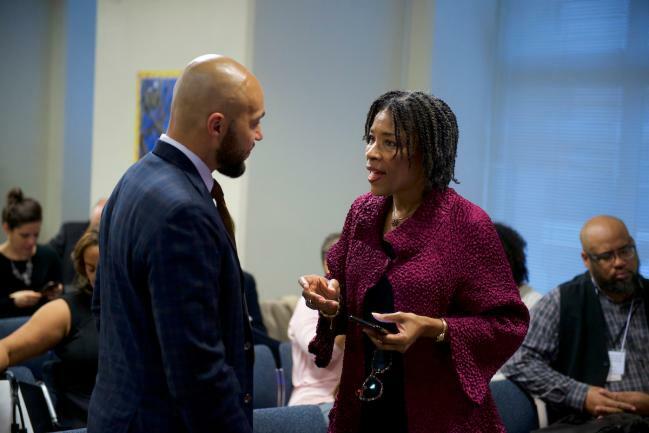 The event brought together a diverse mix of DC government leaders, including the Chair and Members of the DC Council, members of the District business, education, and workforce development communities, and concerned DC residents.